More sausage kerbs to hit F1 in 2019? Mercedes may have put themselves ahead of other teams at this weeks tyre testing due to their use of sensors. Sainz ends on a high: "I've shown everyone what I'm capable of"
Hülkenberg on flip: "Looks spectacular but nothing dramatic"
Verstappen "very happy" with P3 despite "problem at the start"
Alonso voted Driver of the Day in final race! Hamilton finishes off title-winning season with win in Abu Dhabi! WATCH: HUGE crash for Hulkenberg at start of Abu Dhabi GP! 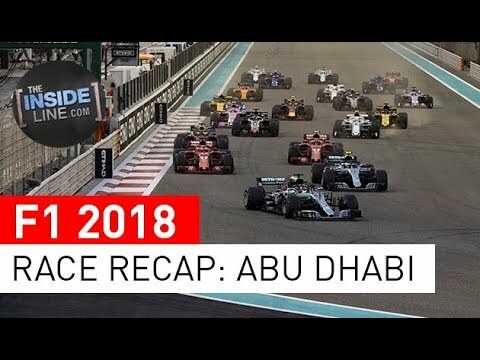 Massive crash for Nico Hülkenberg at the start of the Abu Dhabi Grand Prix! The German got sent flying and flips his car several times, but he was alright.